Article that discusses Sorel's Reflection On Violence, critiquing its voluntaristic ideas and exploring its relation to fascism. George Sorel’s Reflections on Violence is a maddening work, giving the reader an insightful portrait of the chaotic and conflict ridden French workers movement. For this reason alone it is worth reading as a historical document, despite the authors dodgy politics. Sorel brilliantly depicts the tensions between revolutionaries and reformists, as well as the complexity created by the petty-bourgeoisie and religious institutions. This is actually quite surprising given his economistic vision of class struggle, where syndicates that are formed at the point of production will wage battle through strikes and then eventually a cataclysmic general strike (which Sorel likens to a Napoleonic battle). Sorel in many ways is simply responding to what is going on around him and the ongoing crisis of the French workers movement, in which divisions are increasingly antagonistic and old orthodoxies are being ruthlessly critiqued in a search for new ideas. I also found his vitriolic attacks on reformist figures quite entertaining and hard not to sympathize with. This book is also fairly controversial, given that Mussolini declared Sorel to be one of his most important influences. In a 1937 interview Mussolini claimed “George Sorel has been my Master” when asked if he was influenced by Reflections on Violence. As a result Sorel is often dismissed as a harbinger of fascism or simply a fascist. For example in Jean-Paul Sartre’s intro to Frantz Fanon’s Wretched of the Earth Sorel’s work is dismissed outright as ”fascist chatter”. Now to be clear I have no interest in defending Sorel’s actual politics, which do have elements that were quite easily appropriated by fascism. Yet it is quite reductive and ignorant to simply dismiss Sorel as a fascist, at least from what is contained in Reflections on Violence. Sorel is clearly a syndicalist, and while he consistently bashes anarchists in this work his politics have more in common with the likes of Bakunin. In fact anarchists that are viewed as completely acceptable by the left today had ideas that have influenced and been appropriated by fascists (for example Proudhon’s integralist nationalism). The fact of the matter is that fascism was not a purely right wing phenomena, but a fusion of ideas from both the right and left. Reflections on Violence more than anything is an attempt to theorize syndicalism as a political practice which can serve as a viable alternative to the reformist Marxism of the Social-Democrats. 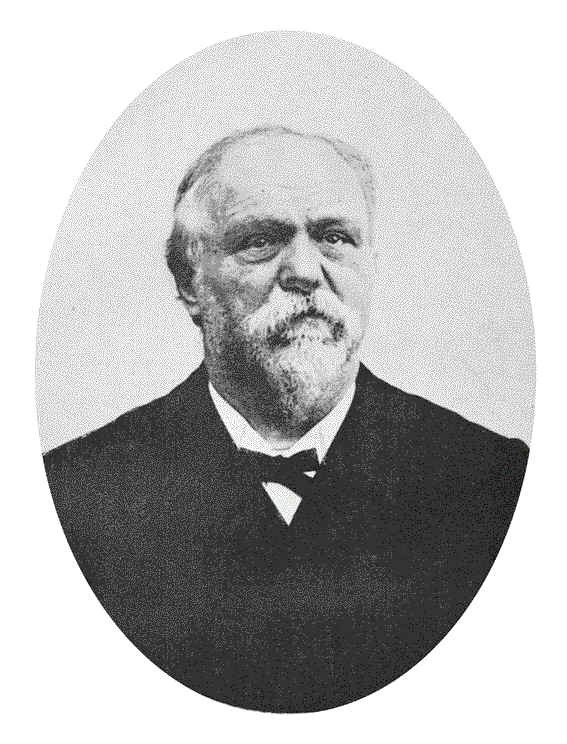 Consistent targets of Sorel’s polemics are the French Social-Democrat Jean Jaures and Karl Kautsky. By the time this book was published political rifts already existed between the revisionists, centrists and mass-action left in the Second International and Sorel seems to have little to say about the more radical leadership of social-democracy like Rosa Luxemburg and Anton Pannekoek. Yet as far as his critiques pertain to the reformists and center they are often quite dead on. In the process of trying to win the favor of the middle classes the Parliamentary Socialists have to suppress the more radical and violent acts of the proletariat. This generally makes sense; as the opportunist social-democrats appeal to the favor of the populace in their election campaigns they must present themselves as keeping the public order and having the interest of the middle class at heart. Yet ultimately the middle-class have interests alien to the workers because they want to become the future administrators of society and so the workers party develops a caste of politicians who hold back the class struggle. This brings to mind the recent election campaign in Seattle of Trotskyist Kshama Sawant, who appealed to small business owners while claiming to run a “working class campaign”. I generally agree with this aspect of Sorel’s critique and prefer it to Kautky’s rants about how capitalism civilizes proles to use democracy instead of violence. Yet it is also a very limited critique that is more based on ethics than on a historical materialist understanding of how reformism is generated. For Sorel the workers simply need to form syndicates until the entire class is organized and then carry out the general strike. The general strike will allow for the bypassing of the political power of the bourgeoisie and the reformists, so therefore only an economic struggle against the employers is needed to prepare for the final cataclysmic event. Yet Sorel is perceptive enough to realize that the Parliamentary Socialists have a grip upon the mentality of the proletariat, and this is a hamper on their revolutionary potential. So what exactly will animate the proletariat into revolutionary action despite their reformist tendencies? Sorel rejects the thesis that capitalism has inherent contradictions that lead to collapse as overly positivistic, expressing disdain for rationalism and science. For Sorel the crisis theory of Marx is a source of complacency. Rather than crisis what will drive the proletariat into action is “myth”. Sorel compares Marxism to early Christianity, claiming that the growth of Christianity was made possible by its proliferation of the myth of the second coming of Christ. While the myth wasn’t objectively true it inspired its followers to take action and make Christianity a dominant world power. For Sorel the ideology of the general strike is essentially the same. Capitalism isn’t going to collapse, but if we proliferate the myth that capitalism will collapse it will inspire the proletariat to act upon it an then cause the myth to become a reality. Hence the proletarian vanguard must spread the myth of the general strike as effectively as possible in order to compel it to act. While Sorel claims to be protecting the true marxist doctrine of class struggle in his often quite ludicrous rants it’s obvious that his ideas are fundamentally anti-marxist. Not only do they reduce the problems of revolution and class struggle to a matter of will to power and voluntarism they also make ideas the driving force of history. Communism is also not a matter of myth. It is in fact quite the opposite. Communism aims to demystify human society and break down ridiculous myths by destroying the material conditions that create them. Communists cannot trick the proletariat into acting in its own interests by creating myths, but instead must present their positions in as clear and honest of a way as possible. From what I am able to find there is no evidence that Sorel ever supported Mussolini’s politics after this point. My intention here is not to blame Sorel for the rise of fascism, which was a complex phenomena that cannot be understood purely in terms of ideas. Fascism ultimately develops because capitalist crisis and class struggle make the democratic form of the state less viable as means to secure the conditions for capital accumulation. Yet fascism is not simply a conspiracy on the part of the bourgeoisie or more specifically finance capital. While fascism certainly survives and finds a material basis to function in support from big business and the petty-bourgeois it ultimately develops through spontaneous mass movements which often strive for autonomy from capital. The masses are not inherently internationalist or class conscious, which is a flawed assumption that many syndicalists and councilists make. By diverting anti-capitalist sentiments into nationalistic channels fascism by default valorizes capital, regardless of its proclaimed intentions for “national socialism” or rantings against the evils of finance. Fascism would exist regardless of Sorel and ultimately he is as much to blame for fascism as Proudhon, Bakunin, Stirner or Nietzsche. However this is not to say that there is maybe something positive to learn from Sorel’s ideas on the myth. Ultimately Reflections on Violence and those it influenced exposes the poverty of voluntarism and demonstrates how attempts to force consciousness upon the working class ultimately fail and lead to reactionary politics. Today in many ways we are faced with the same difficulties that Sorel was responding to. Class consciousness and subjectivity are in a process of decomposition from the victory of capitalist counter-revolution, and as a result both reactionary and reformist ideas greatly influence the working class. In many ways we face a crisis of class consciousness. While Sorel’s conditions were vastly different he was dealing with similar problems of consciousness, responding to the dominance of reformist ideas in the French workers movement. For Sorel the proletarian vanguard would be able to use myth of the general strike to awaken the other workers from their Menshevik-slumber. Rationalism could not be used, for the workers could not be convinced by the bookish doctrines of scientific socialism. Instead the irrational would have to be tapped into, and hence the general strike would carry its own power as an idea. For foolish militants eager to organize the proles today this idea may sound tempting. But ultimately this strategy cannot work to mobilize workers for communism. Communism is not a myth, it is a material necessity for humanity to continue its development. A Sorelian mass only driven by myth and irrationalism will not create communism but will only be a tool for capitalist reaction to manipulate. Resorting to myth-making or just populist demagoguery to somehow make our ideas more popular ultimately leads to the opportunism and reaction provided by the Parliamentary Socialists that Sorel so deeply despises. As Communists we should take the opposite approach, which is to explain our positions with clarity and engage the class in a principled manner no matter how difficult it is. There are no shortcuts to class consciousness that we can force upon workers. Yet at the same time questions of consciousness cannot be ignored in hope that the eventual crisis will fix everything and put the proles in their place. Sorel bravely attempts to explore the problems of consciousness in Reflections on Violence but turns to irrationalism in order to offer solutions that only lead to opportunism. How big was the UIL split from the USI? What was Mussolini's role in that split? Did the early fascists attain a large section of the USI rank and file, or workers more generally? What is the difference between oppurtunism and voluntarism, or are they united? The central question posed in the piece, through the vehicle of Sorel's stance, is: What is the relationship of militants (conscious workers, the vangaurd, insert term here) to workers generally, and what ought it to be? It's clear historically that the vanguard is not party leaders (Bolsheviks/CNT), leading intellectuals (Second International/CGT), these often overlap. A popular conception is that the vangaurd is composed of the militants, the most advanced section of workers themselves pushing for communism. But what role do they still play? Intervening in struggle? Building campaigns for what winnable demands they can? A counter to the equivocation of the Sorelian general strike to the a/s or wobbly conception is that in those traditions the GS is a concrete reality, expressely pursued for the same causes you list as the goals of any communist movement; the training, and enlightening of the working class' consciousness as regards social relations. The wage-demand, the hour demand, the industry-wide strikes were indeed regarded as the material struggle that serves to educate the proletariat, an idea that is quite contrary to Sorel's foisting of a myth onto the consciousness of the proletariat. Never the less he drew his ideas from this current which can be seen in the early French anarchist movement in Pouget and others. Overall a fascinating piece! Thanks for posting!